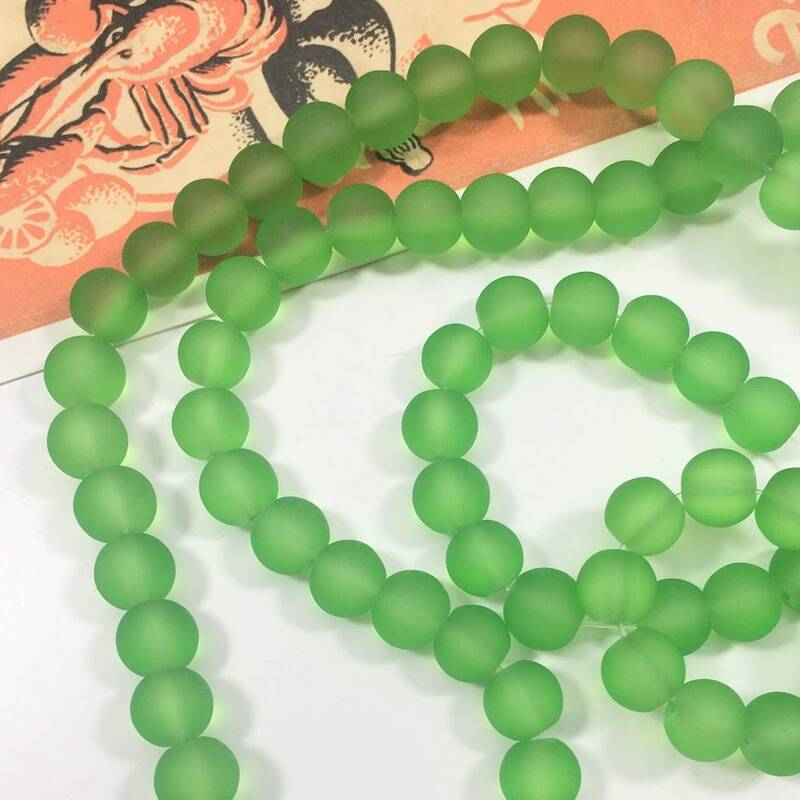 12 Green frosted beads. 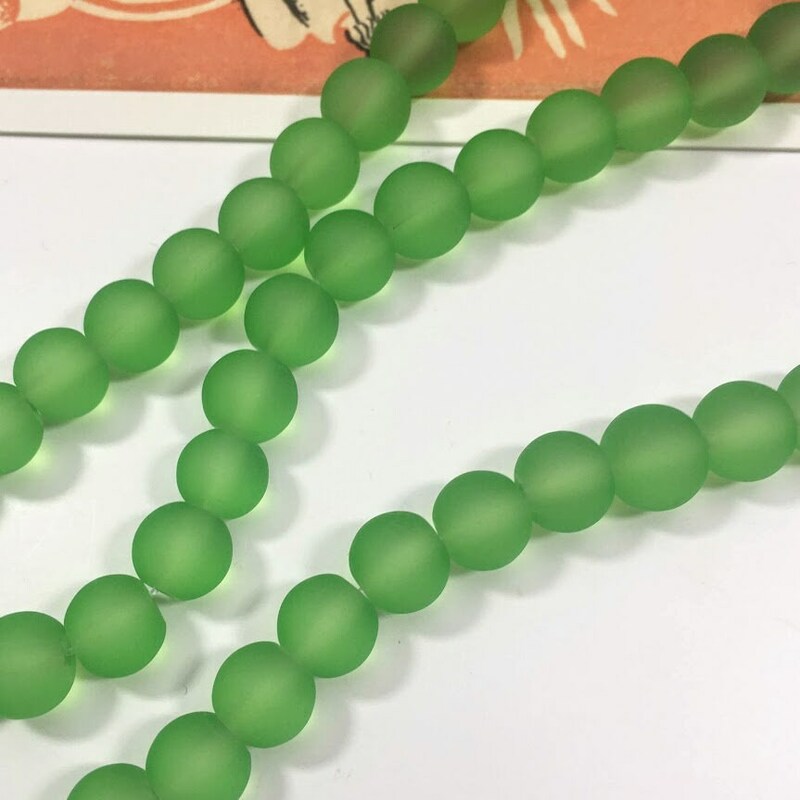 These are a beautiful shade of palest green which work well with clear, yellow, salmon and sky blue beads. 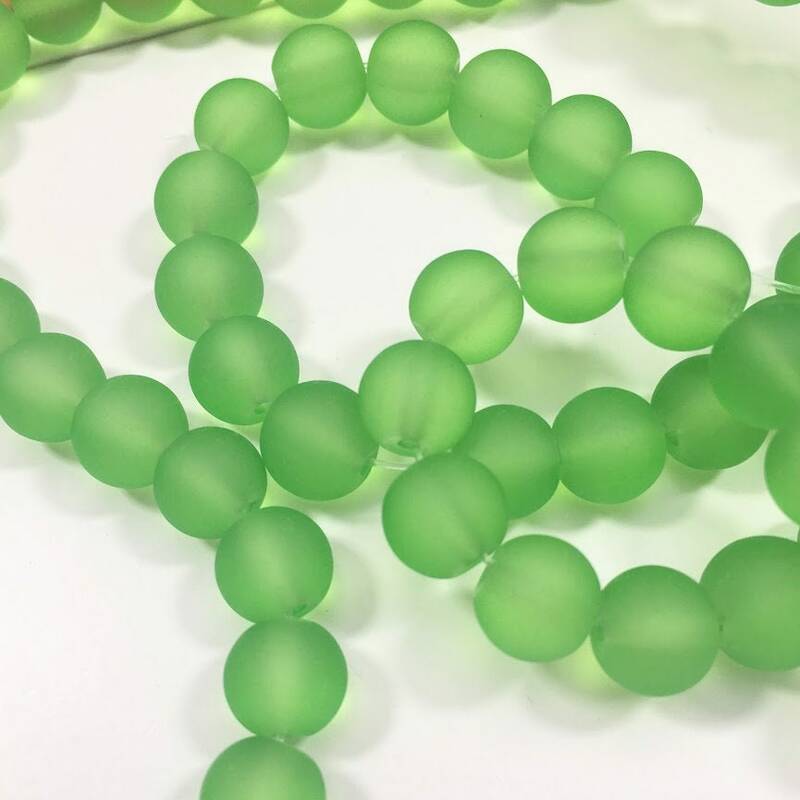 12 beads per lot or discount for 50 beads. I ship worldwide from the UK and charge a flat rate shipping of £1.50 1st class in the UK and £5 worldwide, meaning no matter how large your order, the shipping cost stays the same.